In our search for lasting health solutions, we know firsthand how important supplement purity needs to be. 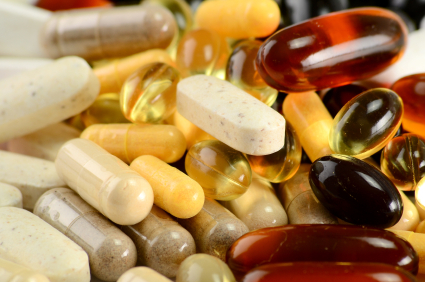 Many patients arrive at our doorstep after having tried unsuccessfully to turn their health around without addressing cellular health, or have used supplements with negative reactions afterwards. It is our experience that product purity can directly affect patient outcome. We want to be able to take you from feeling “fair to good” to “great.” This cannot happen if the supplements that you take have molds, pesticides, binders, fillers, glues, food additives and artificial colorings and other toxic incipients. Many of our supplements are beneficial for people who have multiple sensitivities. Our products are hypoallergenic and do not contain coatings, excipients, binders, fillers, artificial colors, shellacs or fragrance. We choose products that are free of wheat, yeast, gluten, corn, sugar, starch, soy, preservatives and hydrogenated oils. At Fundamental Health Solutions we provide you with the highest grade nutritional products that exceed manufacturing standards set by the United States Pharmacopoeia (USP) and FDA Good Manufacturing Practices guidelines. We believe that having above average, high quality nutritional products provides consistent results. Purity and in nutritional supplementation is more effective in restoring your body’s physiological balance. For patients who have been experiencing physical and emotional challenges that are based in nutritional deficiencies, taking supplementation that delivers the benefits without toxic chemicals improves your energy level and zest for life more effectively without needing to deal with side effects from negative chemical reactions. We have chosen products designed to provide optimum bio-availability and rapid absorption. Many of our supplements requiring a gel cap uses a plant based gel cap that dissolves quickly in the digestive tract. This unique technology allows for greater bioavailability of nutrients for both healthy and sick people.